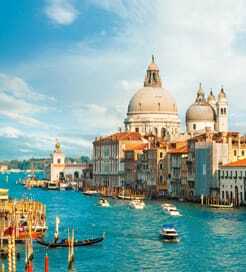 There is no shortage of options to choose from when it comes to selecting a ferry from Croatia to Italy. There are 7 ferry companies with a combined offering of 25 Ferry Routes connecting Pula to Venice & Trieste, Porec to Venice, Rovinj to Venice, Trieste & Cesenatico, Umag to Venice, Split to Ancona & Civitanova Marche, Zadar to Ancona, Cesenatico & Pesaro, Dubrovnik to Bari, Stari Grad to Ancona & Civitanova Marche, Rovinj to Venice, Trieste & Cesenatico, Pula to Venice & Trieste & Mali Losinj to Trieste, Cesenatico & Pesaro. The fastest route between Croatia and Italy is Rovinj to Trieste with a crossing duration of around 1 hour 30 minutes. With so many routes on offer we make it simple by comparing all similar routes in one search so you can quickly find what you are looking for. 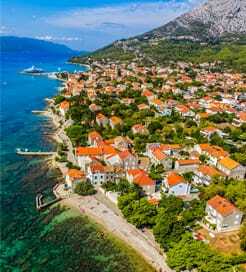 The increasingly popular holiday destination of Croatia is located just south-east of central Europe and contains over a thousand islands. With over one hundred ‘Blue Flag’ beaches and numerous nature reserves, Croatia is ranked in the top twenty of the most popular tourist destination in the world and welcomes more than ten million tourists to its shores each year. As with most of the popular holiday destinations in Europe, visitors can expect warm dry summers and mild winters, with more than two thousand five hundred hours of sunlight on average each year. Croatia is a great point of departure for those wishing to cross the Adriatic Sea to Italy by ferry, especially from the Balkan countries. There are numerous crossings on offer ranging from short high speed passenger only routes sailing to northern Italy to longer more conventional services crossing the sea between the two countries a bit further down the Adriatic. The seasonal high speed passenger only catamaran crossings are relatively cheap and sail from the coast of Istria to northern Italy. The conventional passenger and car ferry sailings from Croatia to Italy are operated by numerous ferry companies and generally depart from Split, Dubrovnik and seasonally from the island of Hvar.